NB: Proffered for this Friday's Forgotten Books. Firecrest, issued in hardback by Heinemann in 1971, dust jacket illustration by Bob Lawrie. 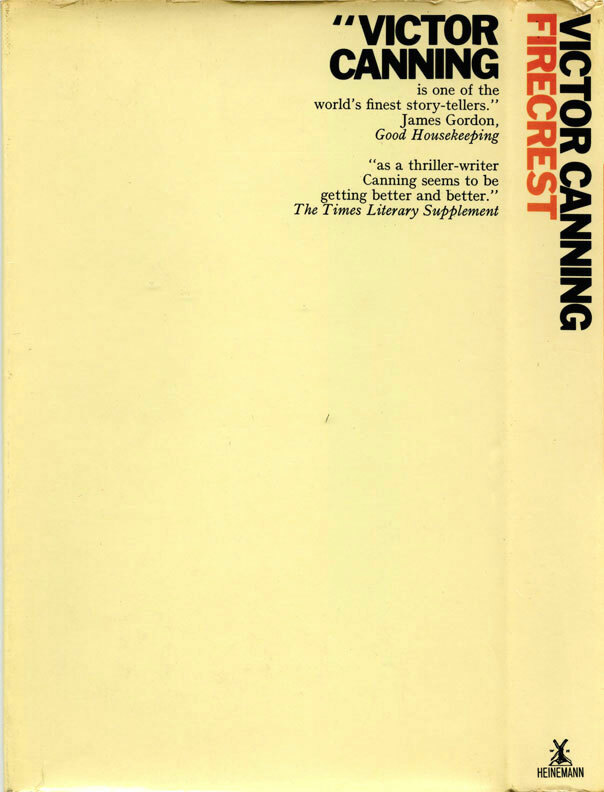 As John puts it, Firecrest was "quite unlike any of [Canning's] earlier work. For the first time Canning was creating credible and interesting female characters. For the first time he was using plots which were driven by character and had real uncertainty of outcome since one could not know in advance what choices the protagonists would make. His villains now were not foreign spies or criminal gangs but members of the British establishment, making for a real conflict of interest since punishing the wicked would also compromise the security of 'our' state. These villains were the staff of a secret government department with its headquarters in Birdcage Walk, initially referred to as The Department, and in later books as Birdcage." The Department was an offshoot of the Ministry of Defence. Its existence had never been officially acknowledged. Its functions – proliferating under the pressure of national security – were as old as organised society. Its work was discreet and indecent. Security and economy demanded that certain people and certain situations had to be handled, organised, dispatched or suppressed without the public being disturbed or distressed by any awareness of the mostly unmentionable stratagems that, in the interests of the national welfare, the Department was given an ambiguous mandate to employ. Murder, blackmail, fraud, theft and betrayal were the commonplaces of the Department. The Department existed, but its existence would have been denied. Its members and operators lived in the common society but acted outside it. Most had entered the Department aware of some of its extreme aspects and prepared to adjust themselves. None had had originally a complete understanding of it; and when this had come it was too late – for knowledge had by then brought acquiescence and even a measure of pride and self-satisfaction at being part of a body of work and action which first changed, then isolated them, and finally smoothly endowed them with an inhumanity that inwardly set them aside from all other people. The head of the Department was Sir John Maserfield. Maserfield plays a key role in Firecrest but the novel's chief protagonist is John Grimster, one of the Department's agents of "inhumanity", whom Maserfield has tasked with finding the research papers of a Professor Harry Dilling, papers which Dilling has offered to the Department and then hidden until he receives his reward (Dilling is aware of the Department's methods and accords the Department the appropriate amount of trust, which is to say none whatsoever). Inconveniently Dilling then carks it, leaving the whereabouts of his papers a mystery – unless Grimster can dig their location out of his only lead, Dilling's girlfriend Lily Stevens, onetime shop assistant at Boots the chemist in Uckfield (nine miles up the road from Lewes, where I presently sit; the River Ouse and local beauty spot Barcombe Mills also get a mention in the novel). Grimster sets about interviewing Lily at length at the Department's Devonshire retreat, but while attempting to ascertain the depth of her knowledge of Dilling's papers he is also pursuing his own agenda: to find out whether or not the Department, under Sir John's orders, murdered his wife, Valda. His suspicions about his wife's death are fed by his former schoolfriend, Harrison, now a freelance agent intent on turning Grimster for whichever power – "the Egyptians, the Russians, the Americans, the South Africans or some international industrial group" – he happens to be working; but in truth Grimster needs no encouragement: his sole purpose, he comes to understand over the course of the novel, is to learn the truth of Valda's demise and wreak his revenge – and Lily and the late Dilling's dabblings with hypnosis may provide the means to that end. 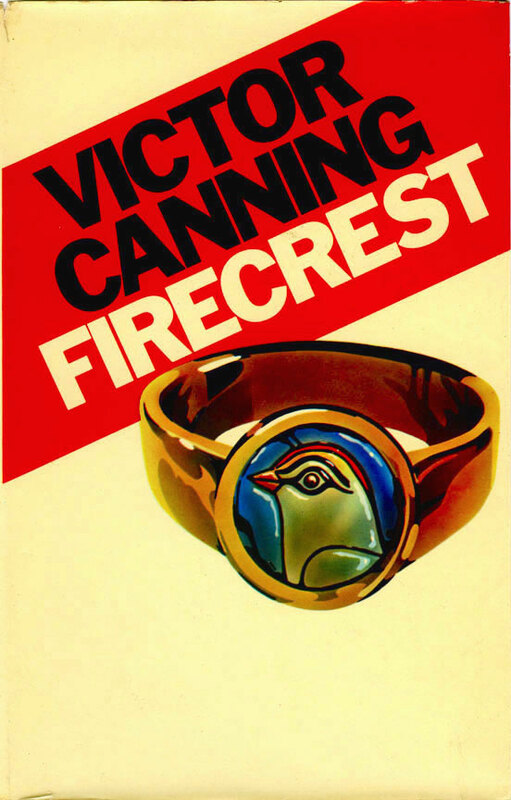 The Times Literary Supplement called Firecrest "simple and as cold as hell", which is to do a slight disservice to the plot if not the tone of the book; the structure, comprising as it does in large part Grimster's interviews with Lily, does seem quite straightforward, but the content of those interviews, the direction they take as Grimster gains Lily's trust, and the way in which Canning draws these and other strands of the novel together, are anything but. However, Firecrest is certainly a bleak read, displaying a cynicism about the machinations of government which I imagine would chime with today's NIMNies if they took the trouble to seek it out (although to be fair it is currently out of print). What drives the Department to a great degree is penny pinching – a desire to obtain Dilling's documents on the cheap, essentially, and if that means murder, then so be it. As Sir John tells one of his men, Copplestone, "If Dilling's stuff is valid, she [Lily] goes, and the country's tax-payers will be saved a half a million, maybe. I agreed it with the Minister some time ago. He made the usual Christian noises at first." 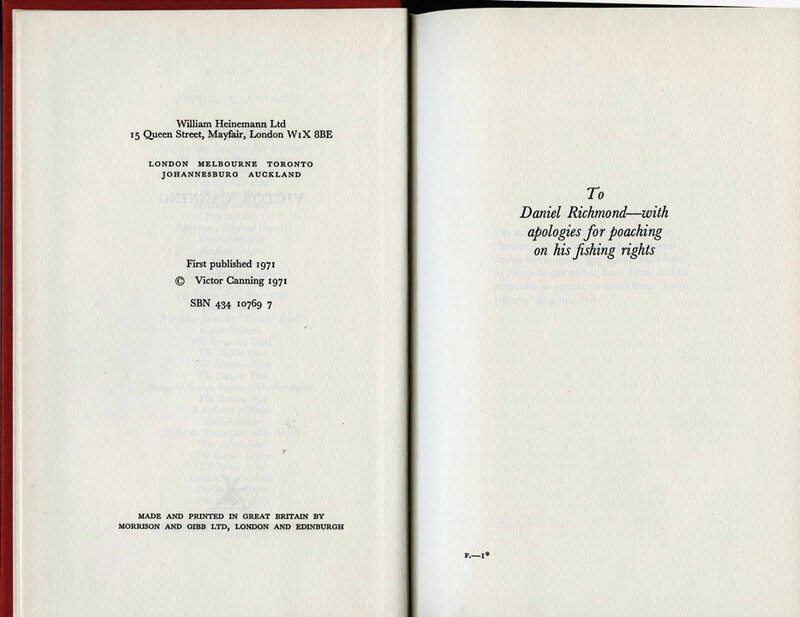 Conscienceless, morally questionable government operatives were nothing new by the time Canning introduced his Department – Michael Gilbert's Calder and Behrens (and Mr. Fortescue) had been around since the early 1960s, while James Mitchell's Callan and the Section made their literary debut in 1969, to name just two examples – but Firecrest strikes an especially pessimistic tenor in this regard. That might have made for an enervating experience if it weren't for Canning's graceful prose and way with a compelling character: as calculating, conniving and occasionally savage as Sir John – who reminded me of R. in W. Somerset Maugham's Ashenden – and Grimster and the rest are, they're captivating creations nevertheless, probably because of rather than in spite of their natures. Even Lily, on the surface such a guileless creature, eventually reveals herself as instinctually emotionally manipulative. Towards the end of the book Lily's friend, Mrs. Harroway, whose late husband was in politics, muses, "...a long time ago... the world was just dirty around the edges, Mr. Grimster. Now it is grey-coloured throughout." A little later Grimster reflects: "Mrs. Harroway was right. The world was grey right through. He was grey. Cold and grey, touched only with warmth and colour once truly in his life, with Valda." Those two quotes go some way towards encapsulating the attitude of Firecrest, but it's only in the final few pages that the book stands revealed for what it really is: a Greek tragedy. Having read both Firecrest and the second novel, The Rainbird Pattern – which I'll be turning to shortly – I can report that I have every intention of making my way through the remainder of the series, and have begun collecting Heinemann first editions accordingly – not a straightforward task, as Heinemann first editions/first impressions aren't always readily available (I managed to find a handful at a very reasonable price and in very nice condition courtesy of bookseller Mike Park; hope you're on the mend, Mike!). 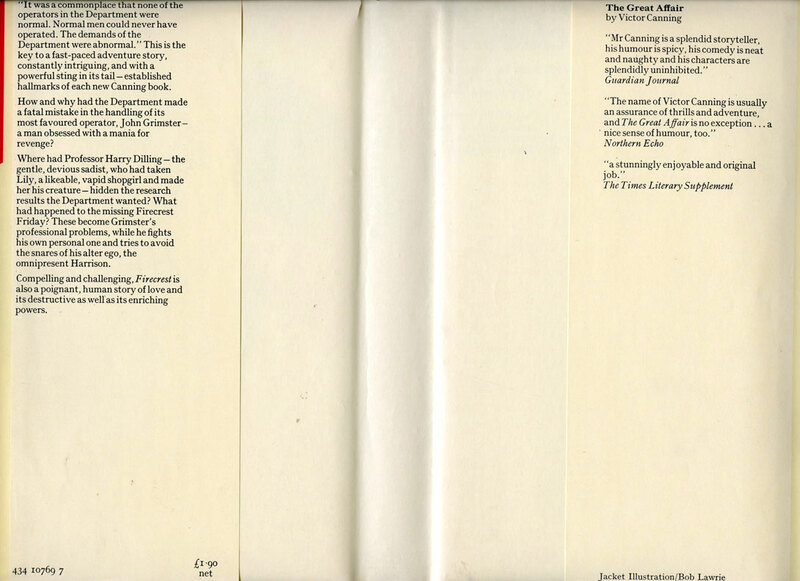 I've added the covers of the ones I've got my hands on thus far to the Existential Ennui British Thriller Book Cover Design of the 1970s and 1980s page. The Finger of Saturn, published by Heinemann in 1973, dust jacket photograph by Robert Golden. I acquired this copy of the first edition a while back when I visited Alan White and had a rummage through his wares. 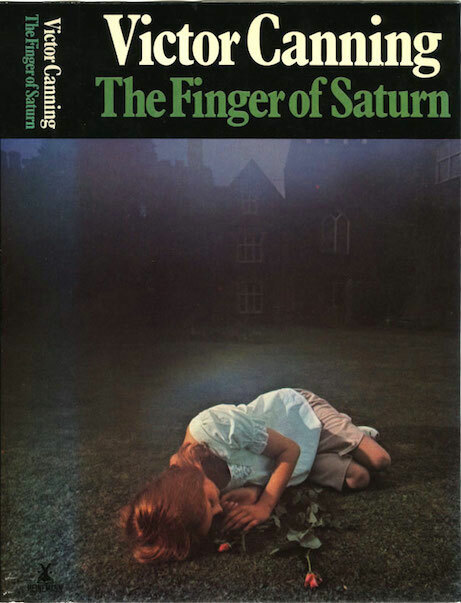 According to John Higgins The Finger of Saturn "also featured malign civil servants, though not from Birdcage", adding: "As it also involved an element of science fiction, it is not really a part of the same sequence." 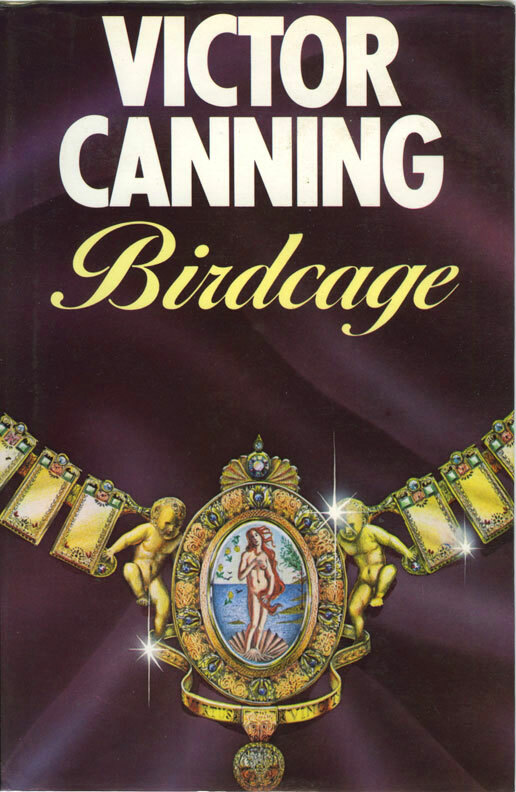 Even still, John rates it highly – it's one of fourteen Canning books he recommends in his introduction to the author's work – as, in this Mystery*File review, does David L. Vineyard, who reckons "it is unique among Canning’s novels and he brings it off beautifully as only a true master could". It may not be a Birdcage book but I must say I'm inclined to make it my next Canning read. I find it fascinating that his work changed so much following a change in his personal life. I'm curious now about other authors for whom that's also true. 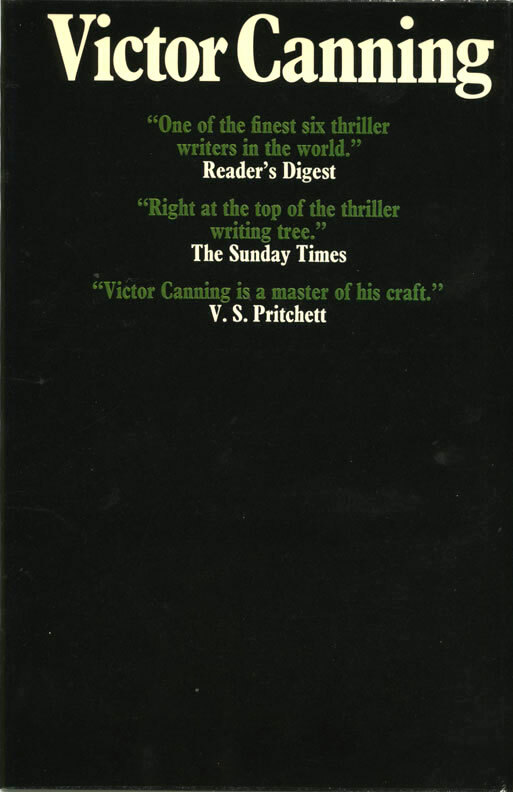 A great overview of spy novels by Canning. He is an author I am not that familiar with, but would like to be. I sent in a comment on The Kingsford Mark last week. Did it reach you? No, sorry, no sign if it, not even in my spam folder. Care to try again? Thanks for the comments Tracy and Kelly. If anyone has any suggestions on other authors who've undergone similar changes, let us know. 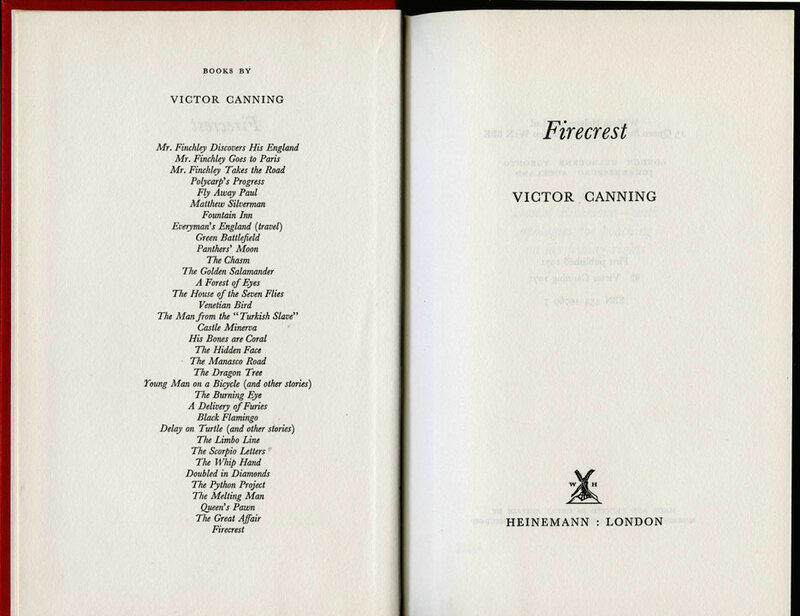 Firecrest was the first Canning that I read and it made quite an impression. Unfortunately, his books are not easily available and I have been able to read only a few more. Looking forward to more posts on Canning. and a couple of other publishers – Top Notch Thrillers, Arcturus – have one or two others, but you're right: at this point a good half of his backlist must be out of print. I couldn't tell you how many of his titles are available secondhand, but as ever AbeBooks is a good place to start there.